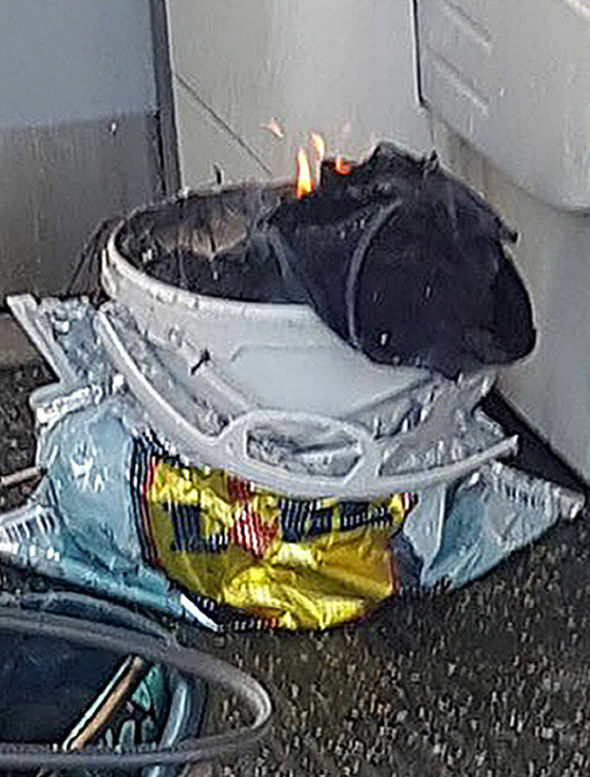 Last week, news of a “bucket bomb“ ripping through London’s underground tube system rightfully dominated the headlines and airwaves. Fortunately, the bomb didn’t fully detonate and no one was killed but the incident left 29 people injured from the fireball that engulfed the inside of the packed tube carriage and ensuing stampede to escape. On September 13, a man shouted “Allahu Akbar” while attacking seven in Toulouse, France. According to local reports, the man is well-known to authorities. As with the case of many of these attacks, the perpetrator was “known to authorities” but was still somehow able to wage jihad on innocent people. Seemingly, the police are incapable of doing their job and enforcing public order to ensure the safety of French citizens. The question is, though, are French authorities incompetent, stupid, or rightfully overburdened and over-stressed from the worsening migrant crisis? All of the possibilities meet the same dangerous end for the people of France; making savage attacks the maddening status quo in any city that ISIS or extremists want to terrorize. A knife-wielding man attacked an anti-terror solider on patrol as part of an operation in Paris. No injuries were caused and the man was quickly subdued by the soldier. Soldiers and police in Europe have increasingly been targeted by attackers who claim allegiance to ISIS. In eastern France, two women were assaulted with a hammer by a man who shouted “Allahu Akbar”, the separate attacks taking place just 15 minutes apart from each other. The man is still at large at the time of writing. It was the fifth terrorist attack in Britain this year and the first to hit London at its most vulnerable point — mass transit — since the 2005 bombings that killed 52. However, it is worth asking; who is the “we” that Khan is referring to? Does Khan ever take any form of public transit in London? Is his house not gated and protected by guards? To claim that he has to experience any of the problems or dangers involving migrants that refuse to integrate into a Westernized society or terrorist attacks is ludicrous. He is insulated from any potential danger the responsibility of his actions bear; as he stands behind accepting further refugees… a weight the public seemingly bears alone. Reported September 16, a 14-year-old girl was raped in broad daylight in a London park at the beginning of the month. The suspect was described as a black male of slim build, with short black hair and a moustache. He was believed to be in his twenties. Many migrants that come from Sharia-controlled countries find themselves in a culture shock from the free expressiveness of the West. Speaking hypothetically, of course, but if this young man was a migrant; it goes to show the brutal and inhuman nature of the crime. In Muslim-majority countries, women are covered and veiled at all times, so even the mere sight of such a young girl could have potentially triggered the suspect. Plainly, the two antithetical, completely opposite natures of the West and Muslim-majority countries in the Middle East is an indicator of their incompatibility with our values. Yesterday, September 17, 4 American tourists were attacked with acid in Marseille’s train station in France. The four American women, believed to be in their 20s, were in the train station when the acid attack happened. Two of the women had corrosive acid sprayed in their face, leaving one with a potential eye injury. After the incident, the tourists were hospitalized, the other two being treated for shock. …[the woman] didn’t make any extremist declarations during the attack. French officials confirmed to Fox News the incident was not terror-related. Really? An acid attack isn’t considered to be “terror-related”? French officials are more than willing to stick their head in the sand rather than address a very real threat. It wouldn’t surprise me to learn that these 4 American tourists were targeted for their nationality, having made the mistake to go to France. With the onslaught of recent violence and Islam-related terror over the course of less than a week, maybe European leaders do side with ISIS and will gladly punish anyone who dares to criticize Islam or terrorists. At this point – with the gross negligence on display from European “leaders” – that’s the only possibility that makes any sense to me.